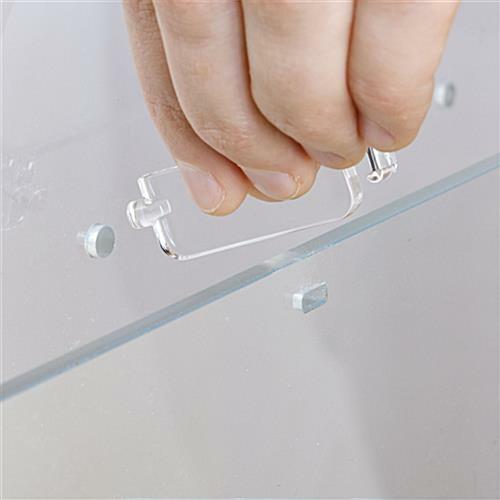 Clear Acrylic Construction Allows "Pre-" Views! 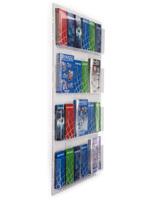 Pre-Drilled Holes Make Installation a Breeze! 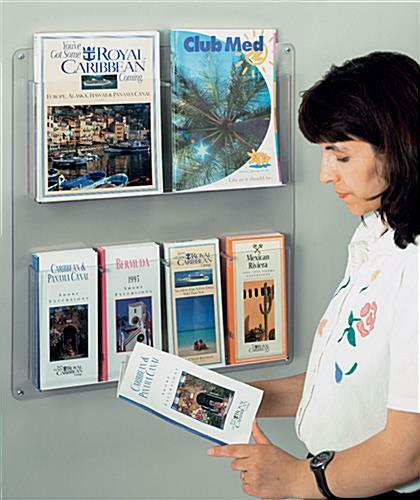 Slots are Adjustable for Differently Sized Pamphlets! 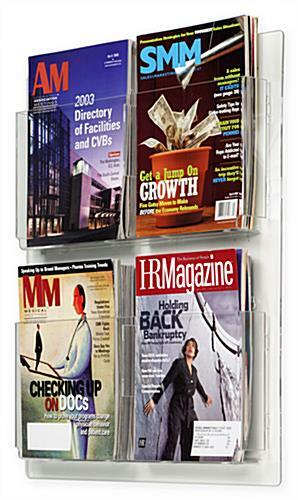 This wall literature rack saves floor and counter space while showcasing lots of business publications of different sizes, at once. 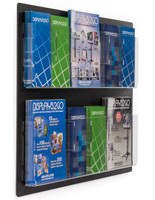 This acrylic mount for a wall, like other quality plastic displays on this website, provides a clear view through which customers can readily eye reading materials and take-aways from a distance. 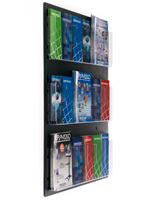 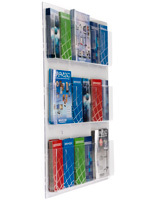 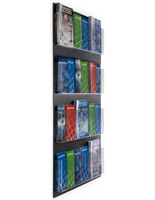 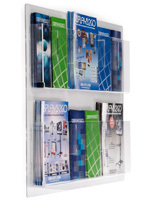 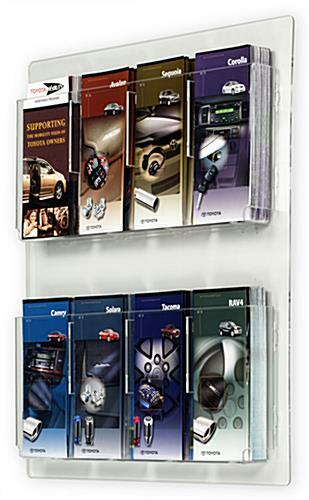 This wall literature rack, also known as a magazine holders system, encourages clients to “take one” home after they do business. 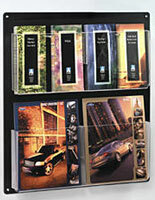 This pocket system has a set of dividers that adjust from trifold to newsletter style. 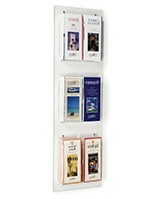 This literature rack that is a store fixture gets hung with the included hardware.